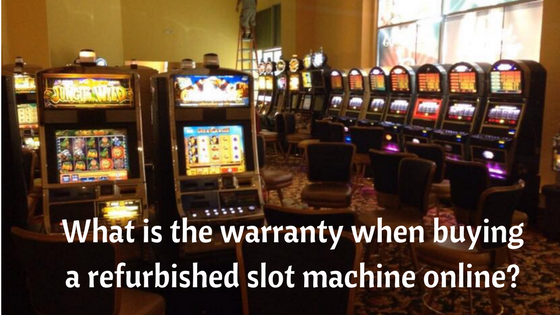 What is the warranty when buying a refurbished slot machine online? Home / Blog / What is the warranty when buying a refurbished slot machine online? When you buy a refurbished slot machine online this is the most important question to ask as what is the warranty of the slot machine product that you bought. 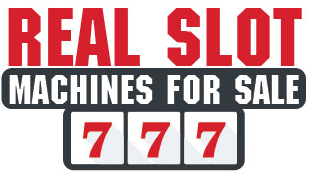 Generally all online realslotmachinesforsale websites offer a one year limited warranty on reused or refurbished slot machines and video arcade games. Even eBay offers the one year warranty. This limited warranty may include, repair, parts and lifetime telephone technical support. What is that comes under NO Warranty in a slot machine? Light bulbs are not covered under warranty. There is no warranty on the battery in the game. As all slot machines are designed to stay on at all times, just like the ones in the casinos, they have a battery backup to hold and maintain the memory of the game. If you shut your machine down and for any long length of time it will drain the battery. These batteries are not rechargeable. Also note that the life of the battery to maintain the memory of the game is for 5 years. 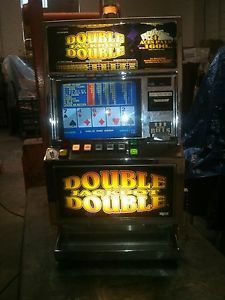 If the parts are found defective the slot machine must be shipped back at the customer’s expense for any warranty work to be performed at the online seller’s expense both parts and labor. If by any means the seller can not fix your machine that your purchased from them over the telephone, very few sellers offer stop by your house (in US or few other places) to fix your machine once they get a sale in your vicinity. After the one year warranty, the seller will still fix your machine either through mailing parts or by stopping at your house to fix your machine. Many online slot machine sellers offer 90 Days warranty on Monitors and LCD but note that Warranty is not transferable if machine is sold or given to other person. Also all warranty work is done at sellers location and parts and labor is covered by seller unless equipment is damaged as a result of abuse, intentional misuse, incorrect installation, alterations, or any acts of nature such as fire, flood, hurricane, tornado, extreme temperatures, or anything that is out of your control. Also customer is responsible for all shipping costs and/or related of all games or gaming parts and for pickup and delivery of their own games which includes proper handling & packaging of the game necessary for shipping. Delivery and charges furnished by carrier of your choice and the seller cannot be held responsible for any damage due to reinstallation and/or use. As Ebay is one of the online seller of slot machine that offers so many brands of refurbished slot machine to buy. Ebay Claims that their machines have gone through a 100 point inspection, machines cleaned, hopper motors rebuilt, new hopper agitators, pin wheels and knives, new reel motors, old glass panels replaced, pull arm handle mechanism re-built, new lithium battery installed on the computer board, old memory cleared on computer board, lights replaced and much more before delivery. They also offer a barrel style door key and reset key to clear the jackpot in few games. Also per eBay policy on slot machines they can not sell slot machines which accept coins such as quarters or currency. They can only sell slot machines that accept only game tokens. They also have a complete tech support team which is open daily from 8:00 am EST until 4:30 pm EST and on weekends. Their parts department has thousands of IGT parts, eproms, glass panels, reel strips, meters, pull arm mechs, computer boards, locks, light bulbs, hoppers and much more to service your machines. If you purchase a machine from Ebay, they will take care of any problem. They also offer a one year warranty on the machine and technical support for all machines purchased through their site. Also, if you have a favorite machine and do not see one on eBay, e-mail them and they will check their inventory and list it on eBay for you. Ebay also have a short videos on how a slot machine works and how to set it up when it arrives and provide you with instructions needed to make sure your slot machine is running. Ebay hold a current registration with the United States Department of Justice (DOJ). This means they are operating a legitimate business with the approval of the government. Most of their slot machine runs on normal 110 V household current. The power cord will run out of the back of the machine. No special adaptor or wiring are needed. It is a good idea to plug the power cord into a power surge protector since there is a computer board inside this machine. Also Ebay clear RAM memory on every computer board so that your machine will never freeze up because your CMOS eprom chip has its memory full. When you purchase one of themachines, the computer board is set just like it left the factory. Therefore the millions of millions of previous plays are not left on the memory. So with a one year warranty on parts and labor they have a staff of five gaming technicians on site to provide technical support, service or parts. All machines are professionally crated in a triple wall 600 pound test corrugated container, poly planked, foam injected and banded. There is no crating charge for machines picked up and their average delivery charges are from $175.00 to $250.00 depending on the location. Also slot Machines will not be dropped off unless someone is present to sign for it. Ebay also have an Export Permit for Europe, Russia and Republics, South America, Caribbean, Africa and even Iraq through the Jordan Free Port and will prepare all your necessary export documents as well as the Manufacturer’s Statement of Origin. Also remember that slot machines sold on EBay are not used for gambling for home amusement only.